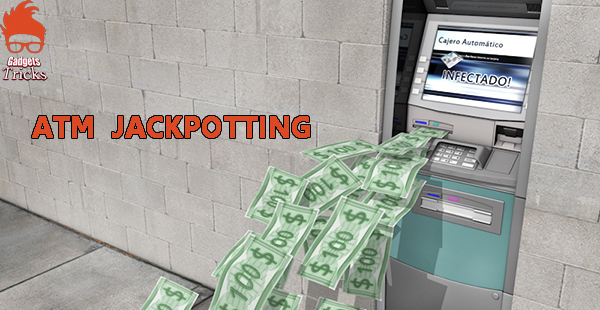 An ATM based cyber attack called Jackpotting now threatening the US ATM’s that leads an attacker to install the malicious software and sophisticated hardware into ATM and pull the huge volume of cash out from the ATM. This Jackpotting attack appeared in Europe and Asia based bank operators now its moved into US based Bank ATM’s and the U.S. Secret Service started warning about this attack on US based financial institutions ATM. Attackers inject the Ploutus.D malware into the ATM machine and performing various Task for more than 10 days and based on the evidence Secret service believe that further attack is being planned across the country. During Mid of this month, this attack is started and executed in many US ATM machines and attackers performing some logical attack which makes difficult to track them by the Secret service. To perform successful ATM Jackpotting Attack, cybercriminals First need to gain the Physical access to the targeting ATM Machine and the way attacker can use their malware or electronic hardware to control the ATM Machine. This Attack is being Executed by fraudsters who is Pretending and dressed as an official ATM technicians who carrying Laptop with a mirror image of the ATM operating System along with the mobile device. Once they access the ATM machine, they are gaining the main infrastructure of the terminal in order to infect the PC or completely changing the hard disk (HDD). After Original Hard disk will be replaced by another hard disk which is carried by the attacker and they are using unauthorized or stolen ATM based software. An Attacker Using a tool called slender that will help to look into the internal part of the cash machine and find the port where they attach the cord that later allows their laptop to connect with ATM computer. According to krebsonsecurity Investigation report, Once this is complete, the ATM is controlled by the fraudsters and the ATM will appear Out of Service to potential customers,” reads the confidential Secret Service alert. The crook installing the malware will contact co-conspirators who can remotely control the ATMs and force the machines to dispense cash. Once ATM starts to spit out the cash, Only way to stop it by press cancel on the keypad otherwise ATM will completely cashout from the ATM.